How do you find a supply chain manager who's right for your company? So you need to hire a supply chain manager. If you've never hired a supply chain manager before, you'll soon realize that supply chain managers come in all sorts of shapes and sizes. There are plenty of ways to find experienced supply chain manager candidates. For instance, there is the more general approach that can be used to find candidates in almost any other profession—i.e. you can use strategic keywords and search on Indeed or LinkedIn or post to Monster. There is also the tried-and-true tactic of poaching talent from your competition. But that's a valid approach for any function, not just supply chain. But there are other supply chain specific resources that you can target. APICS (which used to stand for the American Production and Inventory Control Society, and then became the Association for Operations Management, and now is the—or really "an"—association of supply chain management) is a good resource in that regard. APICS has its global website that you can post to or you can contact your local APICS chapter. Your local APICS chapter is run by supply chain professionals in your area and those chapters give you a good chance of finding local supply chain talent. This is a really good place to start. Another localized approach is to research which government or academic organization is certifying Six Sigma Green and Black Belts. Often, supply chain professionals will pursue these certifications and the instructors who are teaching these courses have a sizable network of local supply chain talent. Finally, you may want to reach out to a nearby Fortune 500 or 1000 corporation and do some supply chain digging on those nearby larger companies (on LinkedIn, for instance). Larger companies tend to have teams of supply chain professionals managing supply chain, logistics, sourcing, and purchasing. If you can access two or three supply chain professionals who work there, they may be able to do the work of sniffing out other supply chain pro's who are interested in your company's supply chain manager position. 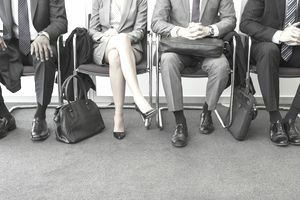 One of the prevailing questions that arises when companies are looking to hire a supply chain manager is whether candidates should have specific supply chain experience in their industry or not. If you're a company that makes and sells cosmetics, do you need a supply chain manager who has previous experience in the cosmetics industry and, specifically, in cosmetics supply chain? Or is it okay that maybe your candidates don't have cosmetics experience but maybe have similar experience—like in lotions or shampoos good enough? Or do you not care that your supply chain managers have any experience in the cosmetics or in related industries? And that you only want a supply chain manager with expertise in supply chain management? Only you can answer the question of whether the right candidate comes directly from your industry or not. In the end, you may want to screen candidates with background checks and look for the talent that fits in with your company's culture. If your organization chart shows one open supply chain manager headcount position and several folks reporting into it, you may have your future supply chain manager under your roof. Is there a purchasing supervisor or supply chain analyst or logistics coordinator or buyer/planner (for example) ready to take the next step into management? Whether you’re hiring from within or looking at outside candidates, ultimately, you’re going to want to hire the most qualified candidate that you feel fits your organization and its needs. And—for a supply chain manager role—that might sometimes mean thinking outside the supply chain box. Your purchasing agents or buyers or planners or logistics coordinators or other supply chain folks might be the first and most obvious place to look when you’re considering hiring from within. But the supply chain manager role can be filled from less obvious functions, as well. Financial analysts or financial managers may not have the supplier relationship management experience that you would want from a supply chain manager, but finance professionals are trained to take care of dollars. And managing your supply chain is really all about managing your dollars. Cost of goods are the building blocks of your company’s costs. Financial analysts know how to slice and dice cost of goods, especially if they are already at your company and familiar with your products and their cost drivers. They could be the right choice to make when looking to transition the right person into a supply chain manager role. Design engineers, quality engineers, supplier engineers or mechanical engineers who have been working intimately on your products or with your suppliers are also an excellent source of non-supply chain management options for your supply chain manager role. Because they understand the ins and outs of how your products are manufactured, the right engineers can work with suppliers to find cost reductions and other optimizations. Do You Need a Supply Chain Manager? If you have a purchasing team and a planning team and a logistics team, you might want to create a new role and consolidate those departments under a single supply chain manager. Or if you have a purchasing or logistics manager who shows talent and ambition—and your company can benefit from giving her broader end-to-end responsibility, then you might consider creating the role of supply chain manager. Or, simply, if your company doesn’t have a supply chain professional making sure that your cost of goods, inventory control, on-time delivery, and supplier management are optimized—you probably need to hire yourself a supply chain manager. If you're still unsure if you need a supply chain manager, ask yourself, "Is my company delivering what my customers want, when my customers want it—and get that done by spending as little money as possible?" "...and get that done by spending as little money as possible." If you're interested in lowering your costs while improving your supply chain and customer fulfillment efficiencies, look to the resources mentioned above and find your company a supply chain manager that's right for you.